People wait in line to buy gasoline at a station in Morelia, Mexico on January 7, 2019. A Warning: This episode contains audio from a disturbing scene of a pipeline explosion. Mexico’s national oil company, Petróleos Mexicanos—Pemex—is one of the largest oil companies in the world, and its gas is really expensive. Working for the minimum wage, it takes a day to earn enough to buy a gallon of gas. And so it’s no surprise that people have long stolen some gas in Mexico. It’s so common, there’s even a name for it: Huachicol. For a long time, the problem was manageable. But then the drug cartels got in on the action. They started stealing massive amounts of gasoline from the pipes, and selling it on the global market. Now the Mexican Government is fighting back. The President is taking radical—even dangerous—steps to cut them off. 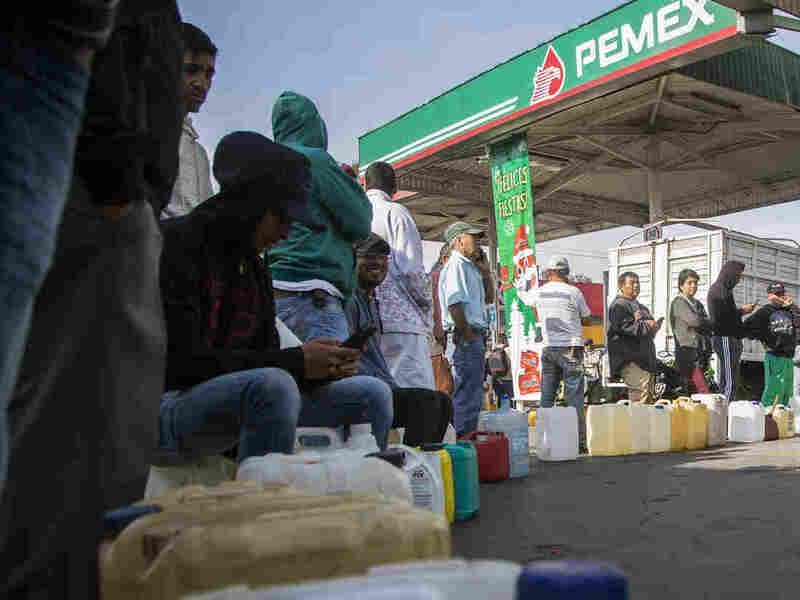 Mexico is in a full-blown fuel crisis. Why Advertise on Social Media Networks!